Al Leston is the host of the popular NPR documentary series, State Of The Re-Union. The NPR documentary style show has Leston going into communities across the country and chronicling the world around him. The show highlights, what makes the community. Leston was on hand at the OneSpark crowdfunding festiva showing the next extension of State Of The Re-Union, a gigantic, digital tablet based wall. 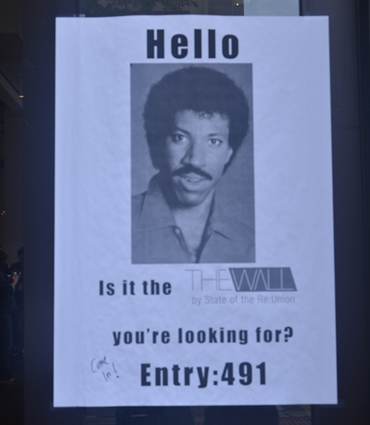 “The Wall” is an installation piece that he hopes to have setup in busy, high traffic areas in a town or city. “bus stops, court yards, plazas and downtown street corners” are locations that Leston has in mind for this gigantic piece of interactive story telling art. Just like SOTRU, The Wall will open up dialogue between people with different ways of life and different perspectives, promoting understanding and encouraging conflict resolution. If we can be connected with others in different regions, with different cultures, we will have a better chance of creating solutions to pressing issues. We will become better listeners. We will increase empathy. The Wall challenges how media inhabits our space. The Internet is an ether, as intangible as it is infinite. But we have trapped ourselves – become idle, passive voyeurs of media. The Wall will surprise us. The Wall will touch us. The Wall will change us. And we will have the power to change The Wall. 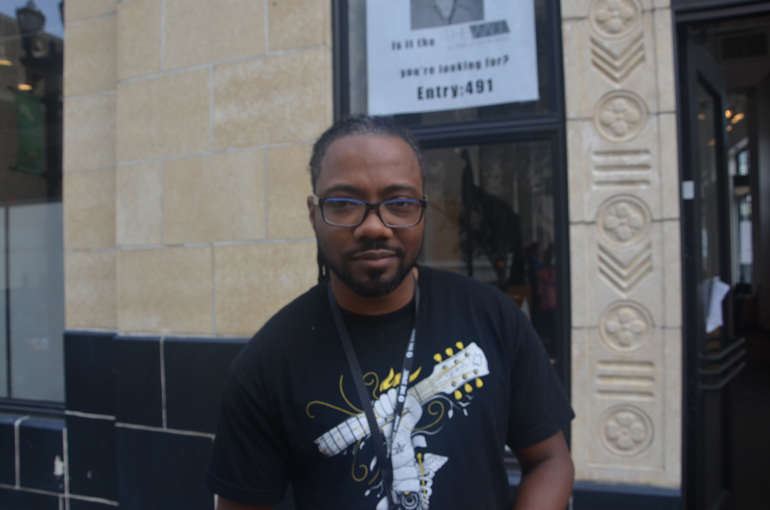 – From the OneSpark profile page. In meeting Leston he was genuine, concerned about communities and extremely creative. A video loop showing throughout the week at his OneSpark booth showed what he hopes to create with the end result of the wall. He wants people in cities, towns and community’s to take a moment and discover the stories that are being home grown. The community aspect, creativity and merged use of technology, in “installation art” are what made The Wall the top vote getter in the technology category during the OneSpark festival. Find out more about Leston’s State of The Reunion program here. We’ve got over 30 startup stories from OneSpark here.